Five significant matches to look forward to in the second half of the season. On 16th April 2014 the Toumba Stadium was engulfed in fire as PAOK welcomed their great Athenian rivals, Olympiakos, for a Greek Cup semi final second leg clash. Having lost the first tie 2-1, PAOK fans created an inflammatory circle around the pitch. Flares were lit, some were thrown. One fan dumped dead anchovies on the Olympiakos bench. This was nothing incidental; Olympiakos fans are nicknamed ‘the Anchovies’, a title that refers to their team’s location near the port of Piraeus. PAOK would win 1-0 to progress, though would surrender 1-4 to Panathinaikos in the final, meaning that, for the seventh year in a row, the trophy would remain in Athens. Nonetheless, that April day served as a brief yet startling reminder of Greece’s most prominent intercity football rivalry. Although manifested as a sporting rivalry, the roots of the antipathy emanate from social and economic tensions between Thessaloniki, where PAOK are based, and Athens. The football stadium serves merely as a portal for such tensions. The resentment was at its apex when Giorgos Koudas – PAOK’s record-holder for appearances and a man widely regarded as their greatest ever player – was almost transferred to Olympiakos in 1966. A mixture of circumstances, fan unrest included, ensured he never did make a permanent departure from Thessaloniki. After topping the table at the turn of the year, PAOK now trail Olympiakos by eight points at the summit of the Greek Superleague. It is a competition that PAOK have won just twice. Olympiakos, on the other hand, have a record 41 league championships to their name. The pair meet again at the Toumba Stadium on Sunday, and this is a match the home side cannot affiord to lose. In 1988 Larissa won the Greek league. Not since in the proceeding 26 years has a non-Athenian club won the title. More than anyone, PAOK would love to break this spell. Olympiakos sacked Michel in early January, replacing him with Vitor Pereira. The giants of Greek club football are shaking and defeat upon their next visit to the Toumba Stadium could break their season, whilst removing the Greek league title from its Athenian stronghold. 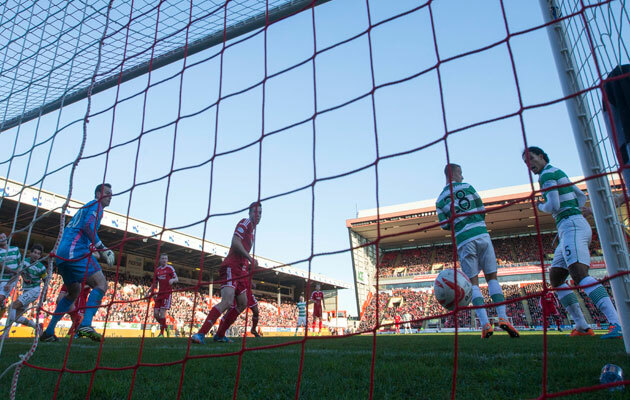 Celtic’s Virgil Van Dijk (right) scores the winning goal the last time these two sides met. By the end of this season it could be 30 years exactly since a club outside of the Old Firm won the Scottish Premiership. It was Aberdeen – in the midst of their greatest era – that acted as that last bastion of non-Glaswegian defiance. Under Alex Ferguson, now Sir, the club enjoyed three league championships, four Scottish Cups, one League Cup, one European Cup-Winners Cup and one European Super Cup. The European successes leave an enduring mark, but Ferguson’s legacy is perhaps best defined by those three league wins, all the more remarkable given the dominance of Rangers and Celtic throughout Scottish football history. Only 19 times in 117 seasons of Scottish football has a team outwith the Old Firm won the title, but now, under Derek McInnes, Aberdeen seem both determined and better placed than ever in recent memory to make that 20. A fruitful festive season with an impressive streak of wins, broken up only by home defeat to Celtic, allowed the Dons to forget an underwhelming start to the campaign that began via home thrashing at the hands of Dundee United. That loss to Celtic was a narrow one. Aberdeen had their chances, though were unable to take full advantage of a Celtic side then-rocking under new Norwegian manager Ronny Deila. The Old Firm’s clutches on Scottish football are at their most vulnerable in decades, with Rangers in the second tier encountering financial difficulties, and Celtic vulnerable since the departure of Neil Lennon. In contrast, Aberdeen have built a team in which there seem to be few obvious weak spots. Providing a lifeboat for sinking careers as well as a vehicle for fledgling ones, the club has forced itself into a title race. Come late February circumstances may well have changed, but if they can keep pace until then, their next trip to Celtic Park may provide them with the spark necessary to wrest control of Scottish football from Glasgow, at least for a little while. Eibar are challenging the Basque hierarchy. Athletic Bilbao and Basque nationalism have become synonymous throughout the years. The club is viewed – certainly internally though perhaps to a slightly lesser degree externally – as a sporting symbol of the region. The only challenge to this status often comes from Real Sociedad, but this season newly-promoted Eibar have posed an affront to the traditional hierarchy. Hailing from the province of Guipuzcoa, which they share with Sociedad, Eibar achieved promotion against several odds last season, and have began life in La Liga with surprising confidence. Their assuredness is all the more uplifting when considering that they had never before ventured so high in the Spanish football system, this being their first year in the top flight. Their rise has been meteoric, too. Just two years ago the club was in the third tier, where it had resided for four seasons. They were hence cast as whipping boys upon their promotion to La Liga, though such aspersions have since been long forgotten. Eibar no longer seem interested in mere survival. They began the season with a victory over close friends Sociedad and haven’t looked back. The regional behemoths, however, have spent the season in a constant lull. Athletic have been inconsistent, with their start perhaps undermined by the additional workload of a Champions League campaign. On 12th December 2012, Mikel Arrubarrena – an Athletic castaway – scored the winning away goal as Eibar knocked out their reputed regional rivals. It was an excellent moment for the Guipuzcoa club. If they were to defeat Athletic in the league, it would arguably be an even more significant victory. Earlier this season, Eibar picked up a 0-0 draw at San Mames, the home of Athletic. As of early January, the two clubs stood in separate halves of the La Liga table, with Eibar enjoying a handy points advantage. Athletic, for all their history and Basque-only policy, find themselves unable to look down on their supposedly lesser compatriots. Thus, when the pair meet again on 1st March, the consequences could be huge. The tables have turned, and the region’s football hierarchy will be at stake. Having breached Financial Fair Play, Manchester City found themselves duly punished by UEFA ahead of the 2014/15 Champions League campaign. With a fine imposed, the English champions were also allowed only to register 21 players for European competition. The punishments were accepted, some outside of the club even felt they were too lenient. Nonetheless, Manchester City’s dreams of a lengthy Champions League run were inhibited, this time before the tournament had even begun. The club’s previous forays have been short-lived. In 2011/12 and 2012/13 they exited at the group stage. In the latter they failed to win one game and exited Europe altogether. Last season the club finally reached the knockout stages, though were routinely dismissed by Barcelona. The same two clubs are set to meet at exactly the same stage this season. Barcelona may remain a sporting and cultural beacon of Catalan nationalism, but their previous status as European football’s kings has long been shed. A steady diminishing process has been ongoing for a number of years, with various managers struggling beneath the weighty expectations that have been within the club’s sinews since the Pep Guardiola years. The latest person to feel that weight is Luis Enrique. Enrique has been under intense scrutiny of late as his team fight hard just to stay within distance of Real Madrid at the top of La Liga. Much of the scrutiny is centred around his relationship with Barca’s best player; Lionel Messi, which is said to be faltering. With such pressure on his shoulders and with Real Madrid looking like the only truly viable domestic champions at this stage, the Champions League match-up with Manchester City takes on another dimension of importance. Should Manchester City get beyond Enrique and Barcelona, the result would have implications beyond the Etihad. In winning this tie, City would be going further in the Champions League than they ever have before, and this would come on the back of supposed sanctions from the competitions organising body. In essence, victory for City here would go some way to defying UEFA. 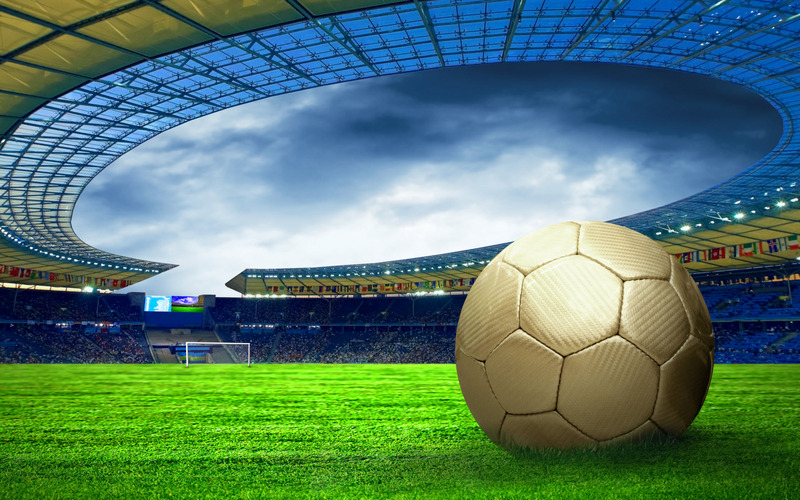 In recent years the German Bundesliga has deservedly earned the reputation as one of the most competitive leagues in the world. The likelihood of one team winning three or four consecutive championships is remote. Bayern Munich remain Germany’s most successful and globally renowned club, but the league lacks the predictability of its English, Spanish and Italian peers. Since the dawn of the new millennium, Bayern’s dominance has been challenged, even overthrown at various intervals. In 2002 Dortmund won the league, having been heftily financed in order to achieve that objective. Having recovered from the perils of that financing, they would win the league twice more in 2011 and 2012. In 2004, Werder Bremen picked up a league and cup double. Stuttgart also won the Deutsche Meisterschale in 2007. These wins were symptomatic of a league that has little by way of inevitability. 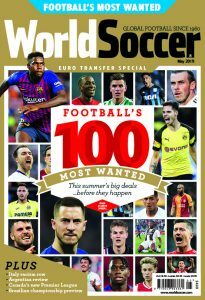 Werder, Stuttgart and Dortmund benefited from this, storming to successes against the odds, but they have since felt the ill effects of such league mobility. Coming out of the winter break this season all three were embroiled in a relegation battle. It is most unnerving to see Dortmund in one of the automatic relegation spots. 18th place just doesn’t look right, especially given the talent within their ranks; talent that has led them to the knockout stages of the Champions League. For Werder and Stuttgart, however, the feeling is becoming all too familiar, having struggled to evade the clutches of relegation last season. It is becoming an unhappy tradition for two clubs who have experienced demotion just once each since the formation of the Bundesliga in 1963. Werder were relegated in 1980, but bounced back up immediately and were competing at the top of German football instantly, having spent just one season outside of the first division. 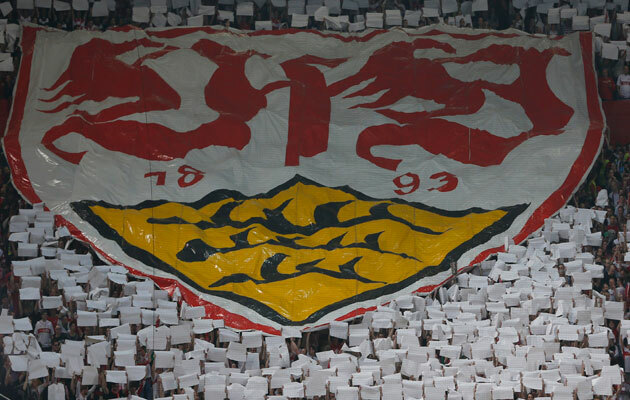 Stuttgart went down in 1975 and spent two seasons outside the top tier, returning in ’77 with four consecutive top-four finishes. Even in the unpredictable world of German football, the relegation of Werder Bremen or Stuttgart would be a jarring sight. The two will play each other at Stuttgart’s Mercedes-Benz Arena on 12th April, with seven games left in the Bundesliga season. By then, both could have alleviated their relegation fears, but if the threat persists, victory for one could send the other interminably spiralling towards the abyss. You can read more of Blair’s writing at his Hundred and Ten Per Cent blog, and follow him on Twitter @BoxingheadBlair.